To succeed in the Subscription Economy businesses must shift their focus from products to the customers themselves. The concept of product ownership is rapidly becoming an obsolete idea as more and more companies are evolving the services they offer to align with changing consumer and business needs. In 2018, I think we’re going to see more and more companies acknowledge and act on the potential that subscription business models will have on future growth. The UK is a nation of subscribers. One of our recent reports showed that four in five people have at least one subscription service. Or in other words, that’s 40 million adults that prefer to access products and services on an on-going basis. And over a quarter of them think they will be using even more services in five years’ time. Companies like Salesforce.com, Amazon, Netflix, and Box were at the vanguard of the subscription economy, but the story is now far broader and deeper and relevant to every industry. Beyond software, we’re seeing providers of utilities, financial services, healthcare, education, farming, and more expanding into subscription services. Even manufacturing and automotive companies are pivoting to or starting up as recurring revenue subscription businesses. For example, manufacturing giant Caterpillar launched Cat Connect on a subscription basis, using connected machinery to help improve productivity and safety for its customers. Customers are eager to use tailored solutions that address their ongoing pain points and businesses need to methodically create purposeful services that address these pain points and add value for their customers. The subscription business model phenomenon is not limited to the US. We’ve seen it explode across the UK as more and more diverse businesses turn to a recurring revenue model. Witness Deliveroo and its launch of Deliveroo it would start offering unlimited deliveries for £7.99 a month across the UK, and Unilever who launched Dollar Shave Club in the UK earlier this month. A joint study released by YouGov and Zuora towards the close of last year, showed that an estimated 58 million Brits subscribe to services, with nine out of 10 Brits choosing to subscribe to their favourite stores, brands, and services instead of purchasing them on a one-off basis. We expect to see subscription adoption continue to rise throughout 2018. One of the driving factors accelerating the adoption of recurring revenue models is the contextually rich data generated from subscriptions. As organisations realise the vast potential of subscription data, they will have to evaluate how and where subscription services can be applied. Data is an invaluable asset for companies and adopting a subscription model enables organisations to add context to their interactions with their clients, streamline services, and identify new successful areas of activity. The migration from a single purchase model to recurring service is beneficial to both the business and consumer. Businesses create a steady revenue and collect customer data that is used to create tailored and improved services which helps with customer retention. Customers in turn have a more enriched experience, the convenience and peace of mind of uninterrupted quality service. Using the extensive data collected from subscriptions, companies can create tailored offerings that will resonate with new and existing customers. Every customer is unique and has different, ever-changing needs, so businesses that still try to sell one-size-fits-all packages that lock customers into long-term contracts will be left in the cold. 64 per cent of British consumers think it’s important they can discover new things based on their personal preferences, and almost as many request instant access to the things they want. Spotify, an early adopter of the subscription business model, provides a great example of this with its recent announcement to extend merchandise partnership to allow artists to sell beauty products. This is a dramatic departure from its core service of music streaming, but an innovative one. 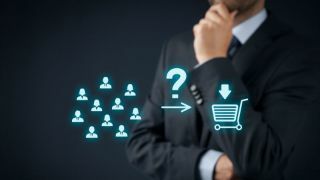 It’s clear they are using customer insights to upsell new products and services which may be of parallel interest to their existing customer base. This will enable them to stay ahead of the curve and reap the rewards of new revenue streams. The next frontier for future growth is to build on established subscriber relationships through experimentation with pricing and packaging. According to the bi-annual Subscription Economy Index, usage-based billing -- think the metered use on the New York Times website, where how much you read decides how much you pay -- is a growth accelerant. Companies with just 10% of their revenue coming from usage-based billing can see growth rates that are twice as high as their peers. That's a massive opportunity to amplify revenue and future subscriber growth, whether you're selling online news to millennials, software to enterprise CIOs or single-origin roasts to coffee connoisseurs. Of course, what will be critical to success in this new frontier is the underlying ability to gather data, review it, and make business critical decisions based on its analysis. With smart subscription technology, businesses can achieve exponential growth and dramatically increase their bottom lines throughout 2018 and beyond. Here in the UK we’re at a critical infliction point in terms of widespread adoption of subscription services. It’s a very sophisticated market and the broader message from our recent report is: standalone products are simply no longer sufficient. We increasingly view owning something as simply managing the decline of a physical asset. So, failure to embrace regular payment models could well mean business failure. Businesses that want to succeed in the Subscription Economy need to orient themselves around customers, rather and products. They need to understand how their services are being used and, based on this insight, create compelling customer experience. However, this shift requires new models of thinking and new flexible systems. This change won't be easy but, in today's constantly transforming business climate, success depends on it.